There are no shortage of things to do in the Killarney area, many of which revolve around the flora and fauna of Killarney National Park. If you have an interest in birds and animals of a more exotic nature, then a visit to Coolwood Wildlife Park & Zoo is worth considering. Coolwood provides a great opportunity to experience a wide range of animals in a tranquil, secluded woodland setting. Entertainment for all the family is guaranteed and it is a great option to pass a few hours, whatever the weather. Coolwood Wildlife Park is situated on a 10 acre site so be prepared for a little bit of walking and allow yourself about two hours to comfortably make your way around the park. Keep in mind that it is situated in a woodland setting and it also opens out to some parkland areas too – be prepared for changeable weather conditions. There was a plentiful supply of umbrellas in the cafe / shop area if you’re stuck! There is a coffee shop at the entrance and there are toilet facilities near the car park and also near the bird of prey enclosure. Family/Kids Suitable for (sturdy) buggies. Dogs/Pets Yes, Dogs strictly on leash at all times. The place is full of animals!! Coolwood Wildlife Park is situated about 5km east of Killarney and is about a 10 minute drive from the town centre. Directions and a helpful image of the entrance can be found on the Location page of the Coolwood website. After the entrance, the road slopes down into the woods where the carpark is located. A visit to the park starts and ends at the coffee shop located next to the car park. The building is surrounded by the homes of some exotic birds such as kookaburras and parrots which help to get you in the mood for what is to come. Once you enter through the coffee shop, there is a pleasant walk through the woods to get to the main parts of the park. The walk takes a few minutes – a little playground provides a distraction along this path for any youngsters in the group . Tip: A small picnic area within the playground would be a lovely spot for a snack on your way back out after visiting the park. Once you arrive at the main entrance to the park, you are greeted by the sights, sounds and smells of the animals. At this point you have a choice to make – go down into the wetlands area or head up the slight hill into the parkland area. There is no obvious advantage in terms of which to view first. The larger animals are in the parkland area so maybe leave that bit for the end to maximise the ‘wow’ factor if you have little ones with you. The wetlands area is located in the lower part of the park and is framed around a stream and pond area that contains a circular loop that you can follow. One of the owls was hooting at us as he tucked into his chicken dinner. Ducks and chickens are joined by local opportunistic herons, swans and pigeons. It’s hard to miss the coypus sliding in and out of the water as you walk around. These large rodents with their long tails are probably not going to be a favourite for anyone not too keen on mice or rats! Tip: There is a lemur bridge that leads out to one of the islands – watch them as they scamper across and up into the trees at lightning speed. For any younger or more nervous visitors, there are no grounds for concern in terms of safety. All the birds and animals are secure in their enclosures. Make sure to keep your hands away from the cages though, some of the more inquisitive creatures have sharp claws and teeth! As you wander through the paths, you will encounter some of the peacocks that roam freely around the place. The first stop in the parklands area has some of the smaller mammals such as meerkats and lemurs who were very keen to “greet” our dog and his accompanying humans. Here too you will find Bruno the pig. Bruno has a very elaborate set up with his own house, garden and even a satellite dish for entertainment. The Rabbitery has a great selection of rabbits and has all the signs of attempted burrowing escape tunnels in the various enclosures. The smaller mammals such as chinchillas have an indoor enclosure here. The skunks are appropriately situated near the toilets! The nearby Bird of Prey section had an injured Peregrine Falcon when we visited. His next door neighbour is a very impressive Ferruginous Hawk. As you leave the rabbits and the birds of prey, the Park opens up to where some of the larger birds and animals are located. Watch out here for the ring tailed lemurs that wander the park freely. The alpacas are a great sight – their heavy coats were recently shorn when we visited. There are plenty more woolly friends around the place with different varieties of sheep grazing nearby. A lone llama observed us nonchalantly as one of the ring tailed lemurs raced past us to get a closer look at our dog. The distinctive call of the emus was a constant in the background as we passed their enclosure. On the hill behind the emus, the prairie dogs were popping up and down to survey the scene. The wallabies are tucked away in a quiet corner of the park. Rabbit escape tunnel in progress..
Coolwood Wildlife Park is a great attraction that will entertain all the family. The woodland setting and spacious layout makes it an ideal way to combine a stroll through the woods with some close encounters with exotic creatures great and small. It’s a great place for kids with any interest in animals, there is a good variety of birds and animals and the informative charts in each section/enclosure are pretty good at answering the hundreds of questions being asked by the small people. The layout is good for keeping the interest levels high – there’s always something new around the corner. Often the litmus test on any attraction is the ‘would I go again?’ question. I would have no hesitation going again and would recommend it to anyone with kids or with an interest in animals. The kids gave it a 9 out of 10 rating when we visited – the one point being docked only because it wasn’t quite as good as Dublin Zoo. I wouldn’t like to be on X Factor if my kids were in the judge’s seats…. If you want to find out more, have a look at the Coolwood website or have a look at their Facebook page for updates. Have you been to Coolwood? What did you think? Leave a comment below if there’s anything we’ve missed. 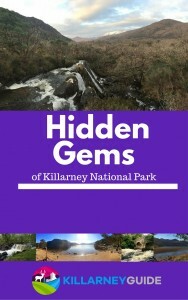 If you’re looking for more things to do around Killarney, have a look here for some more ideas. For updates on future posts on things to do, please subscribe to Killarney Guide with your email.